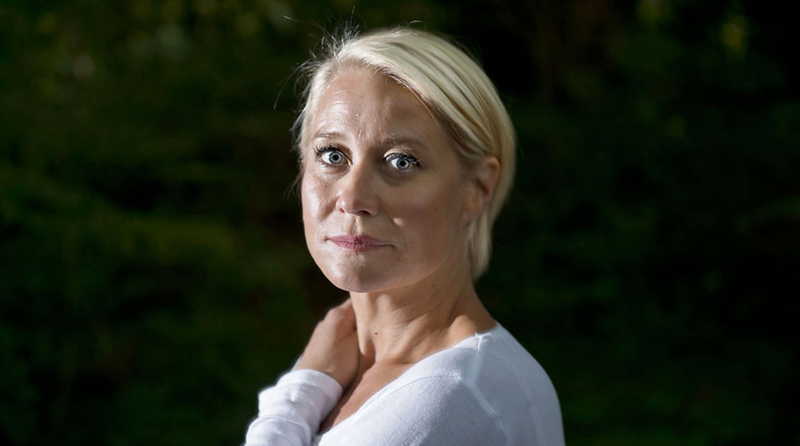 Denmark’s Trine Dyrholm is a highly decorated actress. To crudely put this into perspective, she’s amassed a record-breaking collection of Bodil and Robert awards—annual prizes by the Danish Film Critics Association and the Danish Film Academy, respectively—not to mention the Best Actress Silver Bear she picked up at the 2016 Berlin International Film Festival for her work on Thomas Vinterberg’s The Commune. But her talent? In this case, the statues speak for themselves. Exhibit A: her affecting portrayal of Nico in Susanna Nicchiarelli’s biopic Nico, 1988. Dyrholm disappears into the leading light of Andy Warhol’s Factory, the former vocalist of The Velvet Underground, and whose very name is an anagram of “icon.” Ensconced in the zeitgeist of the ‘60s and ‘70s, Nico rubbed shoulders with Fellini, Belmondo, Jackson Browne, Jim Morrison, Brian Eno, Philippe Garrel, Jimmy Page, Bob Dylan, Patti Smith, and Alain Delon. A fascinating life, for sure, but you will learn very little of it in Nico, 1988, which takes us close to the legend’s tattered charisma and to the haphazard rituals of her life leading up to her off-screen death in 1988. These are Nico’s three final years chronicling her struggles to manage a lifelong heroin addiction, her post-Velvet Underground solo career, a low-budget European tour marked by disasters, and a fractured relationship with her suicidal son. She had lost all cherubic vestiges of her fashion-model beauty once extolled by Coco Chanel herself. Singular Nico, born Christa Päffgen, was doomed. Nico, 1988 opens in NYC on August 1 and L.A. on August 3, with a national rollout to follow. At Rotterdam earlier this year, you said that you weren’t all that familiar with Nico when this role came along. What did you find most fascinating about her in your subsequent research? I was very inspired by an interview I saw where she was asked if she regretted anything. You think, well, we all regret a lot of things. But what she said was, “I don’t regret anything other than the fact that I was born a woman and not a man.” That was very inspiring for me because it tells me a lot of things about this character. So that started me going. Then, of course, the way she contradicts herself: she’s so strong and so vulnerable, and she’s so beautiful yet so destroyed. I find all of the contradictions very, very fascinating. Nico was infatuated with her art. She was an addict. She had so much fame to contend with. Where do you start in your preparation? Do you absorb all of this information and leave it suspended in your thoughts when you’re playing your version of Nico? When I got the offer, Susanna [Nicchiarelli] said to me, “You don’t look like Nico or sing like Nico, but I think you have the right spirit to play the character. So let’s do our version.” That was very important to me: not to do an imitation. Basically, I watched the documentary Nico Icon—it’s very good!—and watched a lot of the interviews from that period. I listened to her music and looked at some concert footage. That was my study of the real-life person. Then the key way into the character was to go into the studio and work with the songs and find the voice of our Nico. I used to be a singer when I was very young. When I was 14, I was in the Eurovision Song Contest. I could use that background. So we went into the studio and tried to sing the songs in different ways, and then suddenly there was a way that felt true to the character. I wasn’t aware of your musical background when I was watching the film, but it didn’t surprise me to find that out afterwards. You’re very talented. That you would sing in this movie—did that draw you to the project even more? Yeah! It was a big thing, of course, that I could combine my old musical background with acting. This is a very special part for me to play. This character is by far the biggest challenge I’ve had in my career because it’s so far from who I am. But I really loved every second of it, even through it was very challenging and tough and hard on some days. I also had huge doubts, but I love doing projects like that. I would die for one more edgy role like this. I love it when the work is difficult. The Prague scene was special for me because it’s liberating for the character. It’s a very important moment in the film. We had 200 extras and they were just there the whole night. Every time I went onstage, they stood up and screamed and put so much energy into it. They gave so much to the performance. I remember that night well. Does acting feel any different when there’s a musical component to it? Is it maybe easier for you to get lost in it? Music always takes you somewhere more easily. 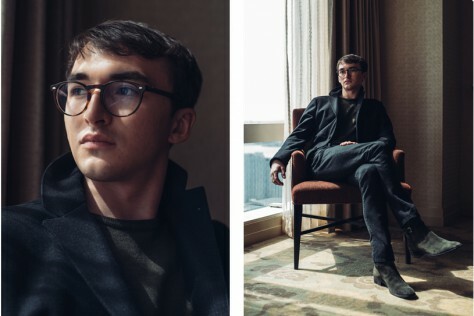 How I try to work with acting in a way is—now it’s getting a little nerdy and complicated to explain—I always look for something that I call “the conscious unconsciousness.” That’s because you’re so aware about the camera and your lines and your concert or whatever you have to perform. When somebody calls “action!” you have to let go and let something else happen. That’s what acting is about: something else is here now that you didn’t know existed. So it is easier sometimes with music because music takes you to that space where you are letting go. Maybe it’s also a little easier because music brings with it the physical aspects. I’m searching for that moment all the time when I act. I’m trying to force myself to believe that when a director shouts “aaand action!” I don’t know what will happen. That’s really inspiring for me because then you’re new to the scene every time. Of course, by that time, you have done all of the research and everything, but you’re not really conscious of it. My favorite scene in the movie is the spaghetti dinner where Nico is recounting how she starved growing up during the war and then she starved again as a model because that just comes with the territory. And she loves food! You learn so much about her in that seemingly unspectacular moment. That’s also my favorite scene, actually. I think it’s a very nice moment with the character. It’s a very interesting moment where she starts to open up and she starts to reflect about her son and everything. It’s based on the things that the real Domenico [Nico’s friend played by Thomas Trabacchi in the film] told Susanna. I wanted to eat the spaghetti in a very unconscious way. She’s really eating like she’s hungry! It took ten takes for me to realize that I have to eat a lot of spaghetti. I have to say that in the end I was kind of close to puking because it was so much that I had to eat. [Laughs] The Italian actor [Trabacchi] was so fun. He had to eat as well and he realized that the spaghetti was not very good. It was just normal spaghetti with tomato sauce so he was like, “You can’t serve that spaghetti! It has to be good Italian spaghetti! What are you talking about!” It was also a fun scene to do. I really liked that scene. I couldn’t help but notice that you’ve had the great privilege of working with many, many female filmmakers, including May el-Toukhy, Anna Odell, Carolina Hellsgard, Pernille Fischer Christensen, Annette K. Olsen, Susanna Bier… I don’t know if that’s common in Denmark, but it’s unheard of in America. Is this a conscious choice that you’re making? I think it just happens like that. I also realized this because now there’s a lot of focus on female directors—or the lack of female directors. I’ve worked with many female directors. I like to be a co-creator. I’m very attracted to being part of the whole process. I don’t like to just concentrate on my own character. It just happens that we all found each other. I’ve done two films with Thomas Vinterberg and he’s not a woman, but he was also inviting me into the process of the script. I think I just met people I should meet. [Laughs] I hope to work with more female directors. You directed a couple episodes of The Legacy yourself. Was that a fulfilling experience? That was great. I really loved it I have to say. It’s a big challenge to be a director. I really have a lot of respect for them, especially when it’s your own film, getting it financed, knowing you have to fight for the whole thing for so many years, and then you have to meet the audience and the press. You are the face of the film in a way. I loved it. I really enjoyed it I have to say. There’s this line in Nico, 1988: “What’s left should be in front of us, not behind us.” Nico was really adamant about not living in the past. When it comes to your own career, do you feel similarly? Do you look back at the things you’ve done? I reflect a lot, all the time. Too much sometimes. [Laughs] I have too many thoughts in my head. I started out very young in the Eurovision Song Contest. Then I became an actress, and I have done so many different things. I’m so grateful that I have tried so many different things. With acting, I’ve always been attracted to complex characters and I’ve always been attracted to things that have to do with gender. I’ve done a lot of masculine female characters and I’ve done a lot of feminine female characters. I’ll always be attracted to gender. I wonder how Nico’s real-life son, Ari, reacted to seeing the film. What I’ve heard is that he saw the film and liked it. I think it’s also complicated for him to watch the film because this is obviously not his mom. It’s me playing her. I heard he reacted positively.